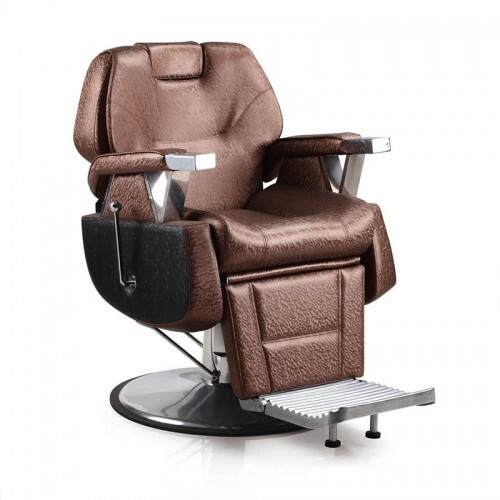 This heavy duty barber chair is flair of style that will set a barbershop apart from the old time shops. Far from the ordinary looking barber chair, this chair is going to be the center of attention in creating a whole new kind of barbershop look. Fully upholstered and overstuffed with fine stitching, this chair creates a luxurious look with a reasonable price. Headrest is removable and adjustable with a positive lock mechanism. 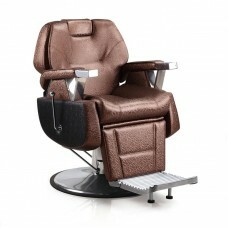 One reclining levers located on the sides of the chair along with a recline of 60˚make it convenient for shaving. Footrest rises as chair is reclined for client comfort. The massive hydraulic base system and rugged chair design will last for years.